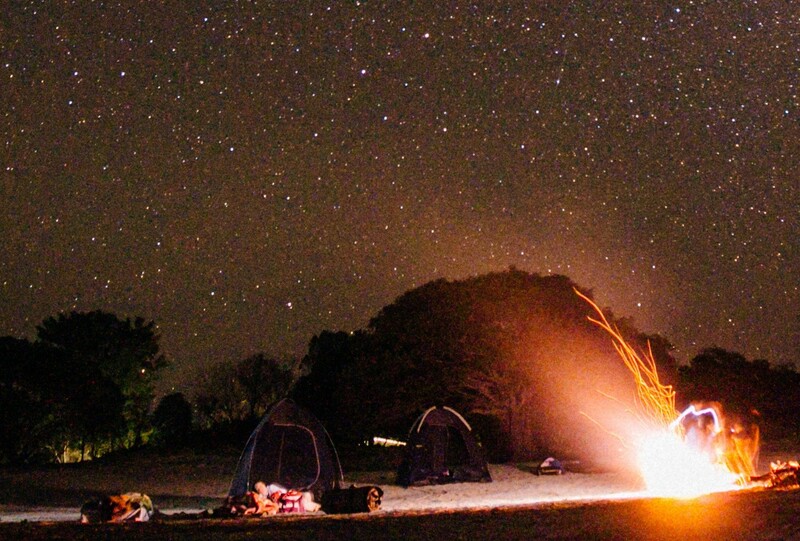 Let us introduce you to our bush camping adventures through Northern Australia. Camping with Venture North is about getting down to basics and connecting/reconnecting with nature, while at the same time being well looked after by your expert guide. Depending on the itinerary we generally try to camp in the one spot for at least two nights. This way you have a base to explore from and are not continuously setting up and packing down camp. You will be camping in a ‘mozzie dome’ 2 person tents which are high enough to stand in and 100% mosquito/sand fly proof, as long as the tent is zipped up! The mozzie domes are made from a fine flyscreen mesh allowing cool breezes to flow though the tent and most of all, offering spectacular star gazing opportunities when laying in your swag at night. Tent covers or ‘flies’ are available for people wishing for extra privacy. The cover also provides protection from rain and dew. Once the tents have been erected (either by yourself or your guide) they are outfitted with swags (bedrolls). In Australia, the term swag is still widely used to refer to a canvas sleeping compartment with a foam mattress, a pillow, sheets and a sleeping bag within. Swags can be rolled up to a compact size and are relatively lightweight, making it ideal for storage and transporting on top of the vehicle’s roof rack. In addition to your accommodation we set up each camp with a dining table and chairs, lighting, a food preparation area and a fire pit. Meals are generally cooked over an open fire by your guide and if you’re thinking ‘charcoaled burnt sausages for dinner each night’, think again. Even in the most remote areas of Arnhem Land or the Kimberley we still ensure you eat good quality fresh produce. Our guides have been trained to be good bush cooks, not chefs. Expect anything from camp oven lamb shanks with mash potato to eye fillet steak with seasonal greens. Depending on what tour you book and the locations you visit, each campsite will come with different amenities. Some camp sites have flushing toilets and hot showers, some have only a self-composting toilet. Make sure if you have special requirements, that Venture North are aware of this before booking. We carry all the safety and recovery equipment (satellite phones, first aid kits, vehicle recovery equipment etc.) to ensure a safe and enjoyable adventure. Mod-cons such as charging facilities are also available. For more information about our camping tours please contact Venture North.